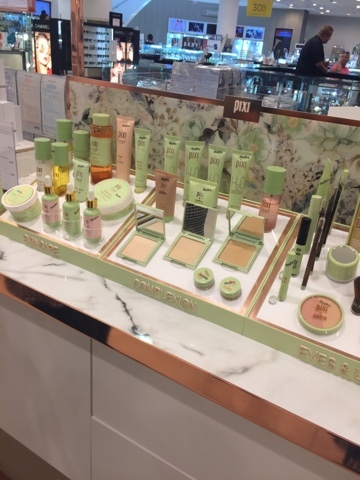 I was invited recently to try out the new Beauty Spotlight at House of Fraser Belfast, which is their collection of trending beauty products - the must haves of the season that all the beauty bloggers and press are raving about. 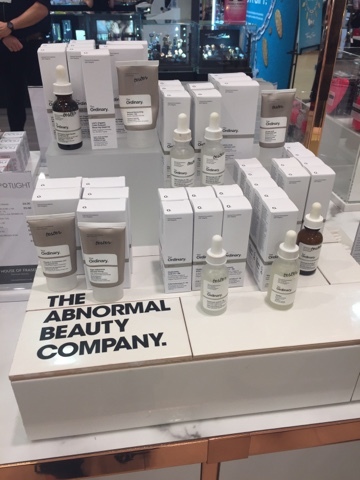 Seeing as I'm a bit of a beauty numpty, though keen to increase my knowledge, I took up the offer to come along and have since been testing some of the products - rather intensively and critically I'd like to think.....I'm always honest about beauty stuff whether the brands like it or not. 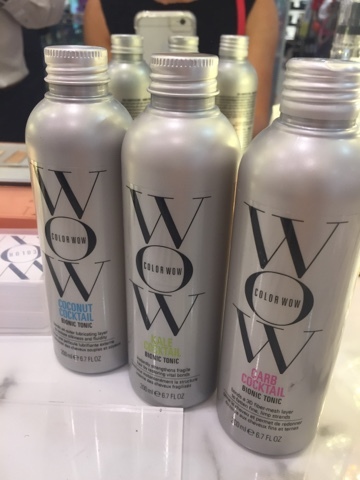 Starting with Colour Wow and I've used their grey hair powder for a few years and would rate it very highly. It's more of a faff to put on than the l'Oreal spray but it does look more natural and doesn't colour the scalp to the same degree. 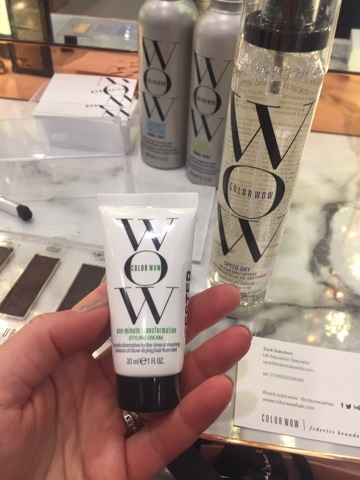 But Colour Wow are keen to emphasise that they are not all about grey coverage. Their products are for anyone with coloured hair who want their colour to last longer and look better and top of the list for achieving this is their range of Bionic Tonics. Think cocktails for your hair but good, non hangover-inducing cocktails with amazing healthy ingredients that have been tested and proven to revive coloured hair. 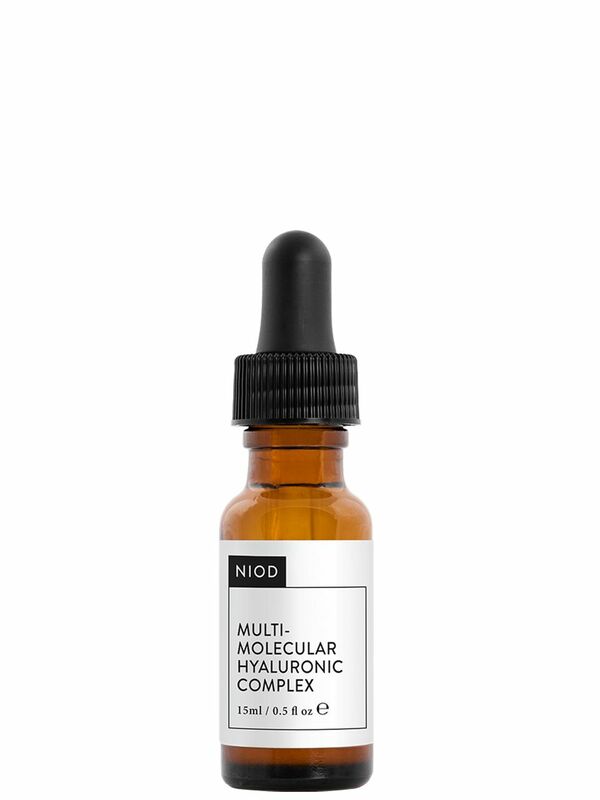 Here's the science bit from their website - supplements and restores key internal bonds to strengthen hair, reducing breakage by over 50% in just one use. Clinically-tested and proven to make hair twice as strong after a single application. Loaded with protein-building Amino Acids plus B Vitamins, it smoothes, detangles and helps guard hair against UV ray damage. In all honestly, I can't back up the claims above - it's not possible to know if it's all true. What I do know is that whenever I wash my hair myself and put this on before drying, this is making it much easier to dry and style my mop afterwards. 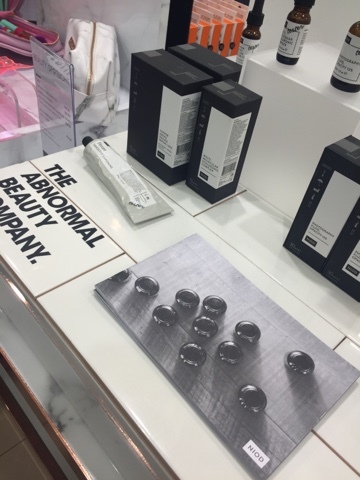 If the company are as good at treatment products as they are at grey hair coverage, it's a no-brainer. And by the way, you only use a tiny amount each time so it will last for ages. 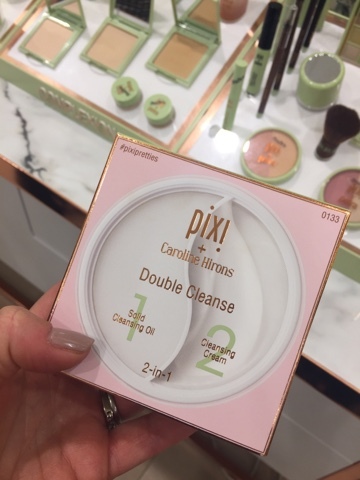 Next up, a brand I've not really tried to date but have been dying to and I was so lucky on the launch day to have two members of the Pixi team to tell me all about the range. I was particularly keen to ask about this product which sold out on its first run. It's right up my street as I'm a hot cloth cleansing kinda girl. I had heard loads of positive feedback online but some people had said that one side was being used faster than the other and that perhaps the proportions would change in the next iteration. The girls at HOF had heard this too but couldn't confirm. There's a good review on The Sunday Girl's blog on this link which helpfully describes how to use it and you can google and you'll find a ton of reviews and videos. 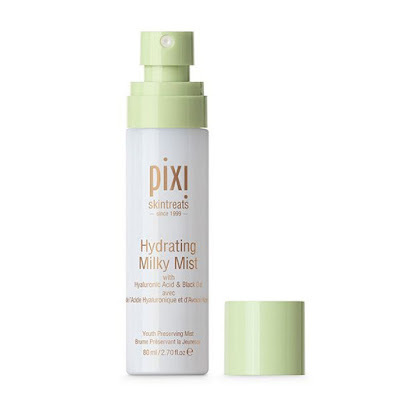 Once I finish my current cleanser, it is my next buy. I'm not a cotton wool fan so if you're like that, you might prefer these to using the tonic itself which comes in a bottle and is used with a cotton wool pad. Both the same product at the end of the day. The tonic contains 20% glycolic acid and rose water and is enriched with Aloe Vera and Vitamin E. The effect is to reveal brighter more radiant skin. I'm not sure if my skin is brighter and more radiant but I have had a few compliments recently and my skin definitely feels softer and smoother. If it's good enough for every beauty guru in bloggerdom, it's good enough for me. 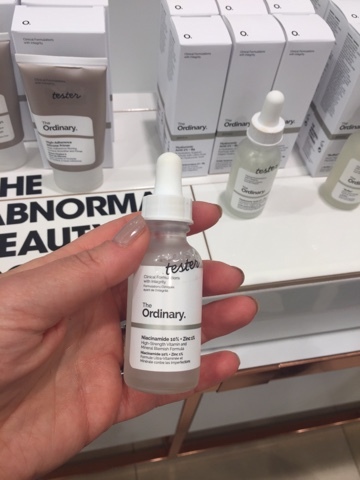 This next product is something that I would have walked past but I got a complimentary bottle of it and I've been SO impressed. It's the loveliest thing to spritz on your face and I use it every day. I especially love it over a face full of make up mid-way through the day. It feels amazing on the skin and definitely makes a difference. I use it at night after my glow tonic and sometimes first thing in the morning before I put on my moisturiser. Do you know, it would make a gorgeous present for someone because it doesn't really matter what they already use, beauty product-wise, it is just be a lovely treat to have and possibly something you might not buy yourself. Lovely for travelling and the bottle will last for ages as I've been spritzing like a mad thing and I've still got an almost full bottle left. Full marks. This has been a game changer for me. I love a little bit of eye liner that I can smudge but so many of them don't really smudge and you end up poking at your eyes. This one smudges beautifully and is so easy to correct on the eye. Yet it lasts really well too. 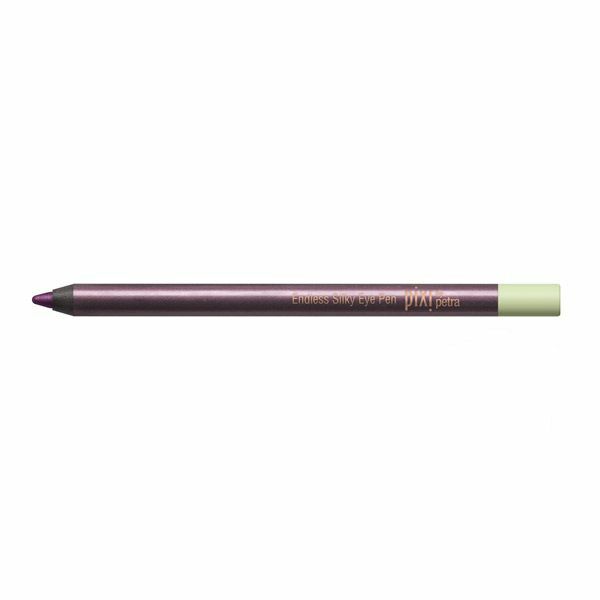 Definitely the best daytime eyeliner I've ever used. And for £12 - it's a complete steal. 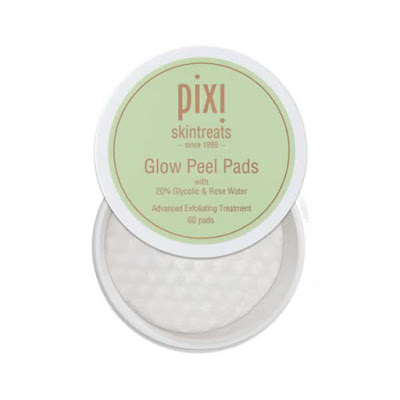 Now there's LOADS more to talk about with pixi - so many hero products that I didn't even get a chance to look at so make the most of the Beauty Spotlight if you are in Belfast. We are the only city to get one and the team manning the counters know their onions when it comes to all these brands. Again, another blogger and social media must have yet ironically most 'ordinary' people are baffled by it. The names are scientific - active ingredient driven - and don't exactly roll off the tongue...I can hardly make out the name of the one I'm holding here, not to mind pronounce it. 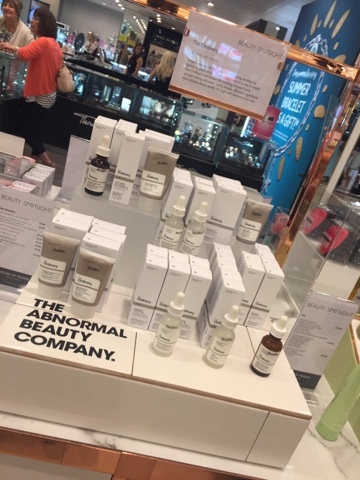 But this range is incredibly affordable and if you get the appropriate 'regime' for your skin type, you will apparently see real benefits without having to remortgage. Products have an average price of about £10! Again, I love this. No smell...easy to apply, feels lovely on the skin. I do think you need to use these products as part of a regime for a few months to really see benefit but my skin has been amazing since using all of the above, which is great considering the battering my liver is getting from all the drugs in my system. And there you go - I'm all out of beauty energy! 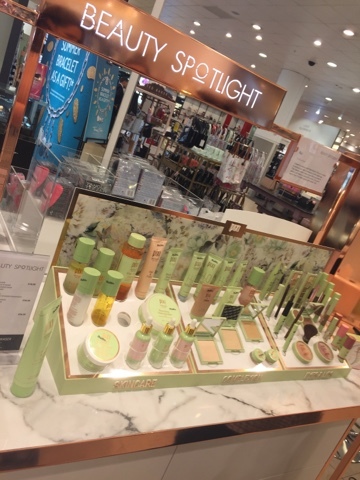 Now there's more to it than what I saw - you can see all the Beauty Spotlight products online on this link. I just didn't have time to look at them all. If you're a brush fan, there are Spectrum and Iconic brushes. There's an amazing range of Stila, Eyelure lashes galore and every Starskin mask you'd want to try. If you love your beauty and watch all the vlogs, you will be in beauty heaven! AND there's 10% off until 8am tomorrow. Ok - blog 2 on my blogathon - DONE! Still 5 to go. Could I manage one a day for the rest of the week? Watch this space!